After a long wait, Windows 10 Technical Preview is finally out and is ready for all the PC enthusiasts to download and test. 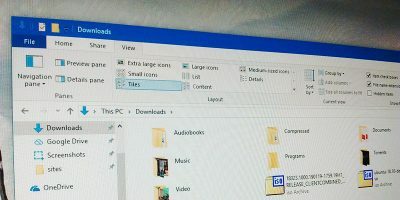 This release isn’r close to the actual completion but will give you an early taste of what Windows 10 will look and work like. 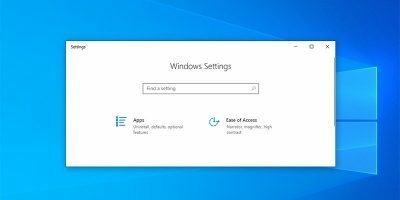 Windows 10 Technical Preview is released using the Windows Insider program and requires you to have a Microsoft account. 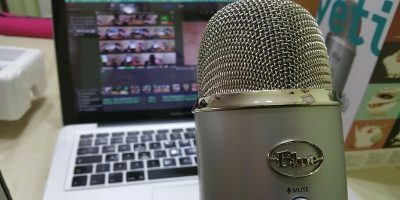 This Windows Insider program gives every user a chance to discuss and provide feedback on any flaws, features and other relevant things with Microsoft tech engineers. 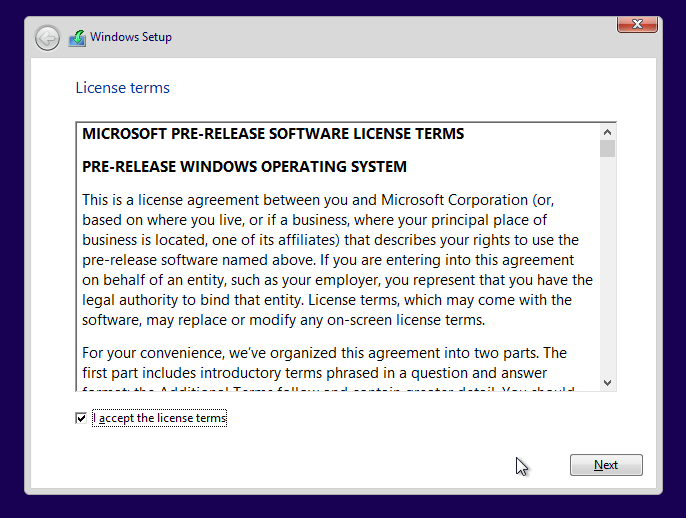 Also keep in mind that the Windows 10 Tech Preview is a bleeding edge release and is not intended for beginners. 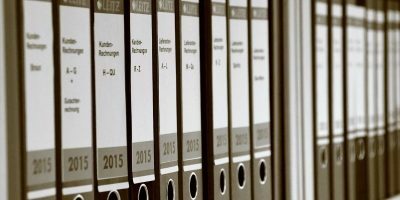 Being a very early release, things may go wrong causing program corruption and data loss. So don’t ever try to install it on your productive machine. 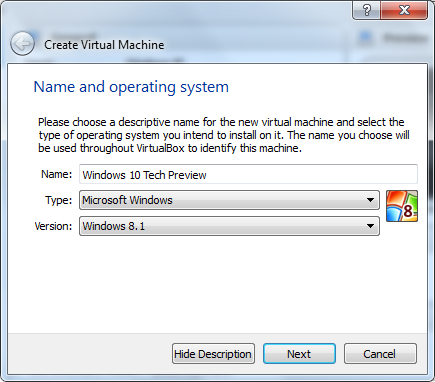 It is recommended that you try Windows 10 Tech preview by installing it virtually using VMware or VirtualBox. That being said, below are the minimum system requirements to install Windows 10 Technical preview. Processor: 1 gigahertz (GHz) or faster with support for NX, PAE, and SSE2. Internet access and a Microsoft account. To download Windows 10 Technical preview, join theWindows Insider program. Once you join, you will be taken to the downloads page. Here scroll down and click on the link “Get the ISO files.” Now select and download one of the several ISO image files according to your preferred language and system (64-bit or 32-bit). Alternatively, use the below Microsoft download links to download Windows 10 Tech preview ISO files directly. As said before, don’t try to install this early release on a physical machine. This is because, according to Microsoft, some functions and hardware configurations of “some processors” may be blocked when you install Windows 10 Tech preview. It is always best to use virtualization software like VMware or VirtualBox to test out new OS. Note: For this tutorial, we will be using Virtualbox. To install Windows 10 Tech preview in VirtualBox, create a new virtual machine with at least 2GB memory, 20GB hard disk space and the OS version as Windows 8/ 8.1. Now attach the ISO image that you just downloaded and start the virtual machine. Once you start the virtual machine, you will be greeted with the typical Windows installation screen. Just select the language, time, keyboard and click on the “Next” button. 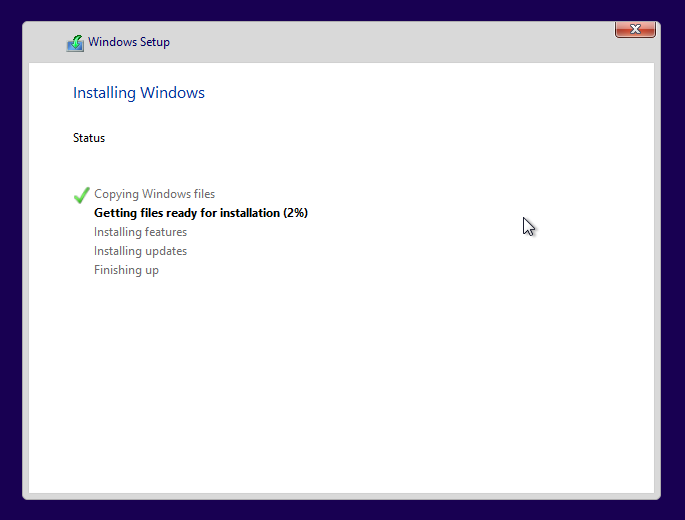 Click the “Install Now” button to start the installation procedure. Read and agree to the terms and conditions; click the “Next” button. 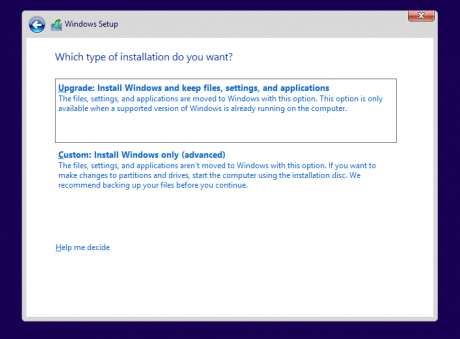 Here you can either select the “Upgrade” or “Custom” installation options. Since this is a fresh install, I’m selecting the “Custom” option. 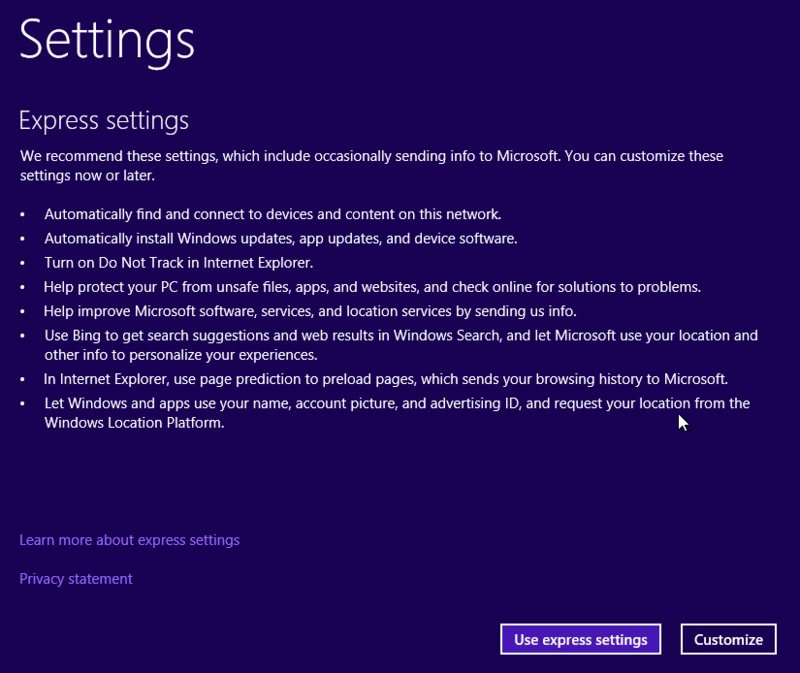 At this point, you can pick where you want to install Windows 10 Tech preview. Select the partition and click on the “Next” button. Once you click on the “Next” button, Windows will start to install the Windows 10 Tech preview. 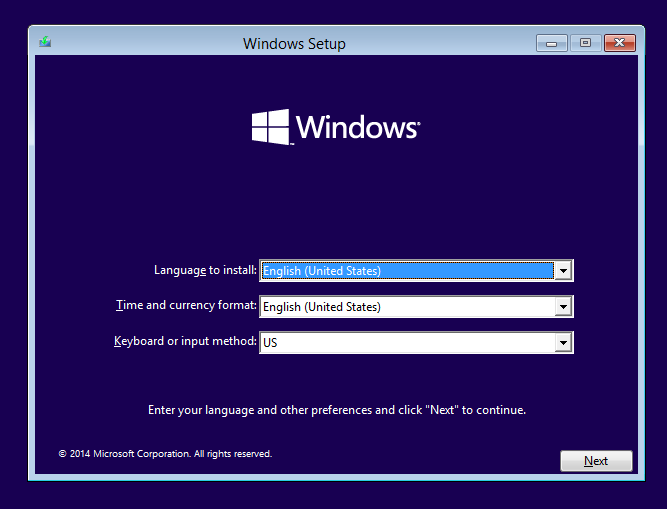 After completing the installation, Windows will reboot automatically and you will be able to configure settings. Just click on the “Express settings” button to continue. You can always change those settings after the installation. 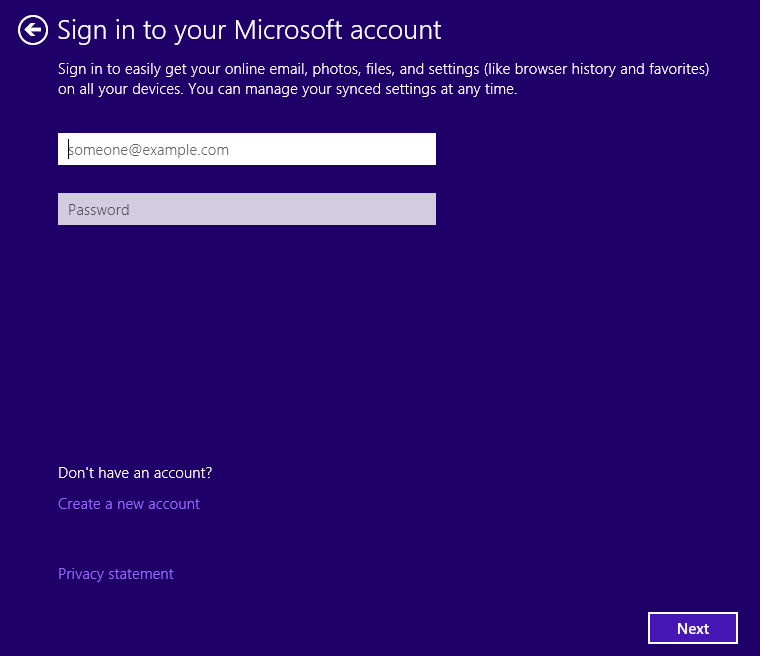 Here in this screen, sign in with your Microsoft account and click on the “Next” button. At this point, you might want to verify yourself for security reasons. Once you have done that, Windows will automatically install and configure all the required apps and settings. Just sit back and wait for a few minutes for this to complete. 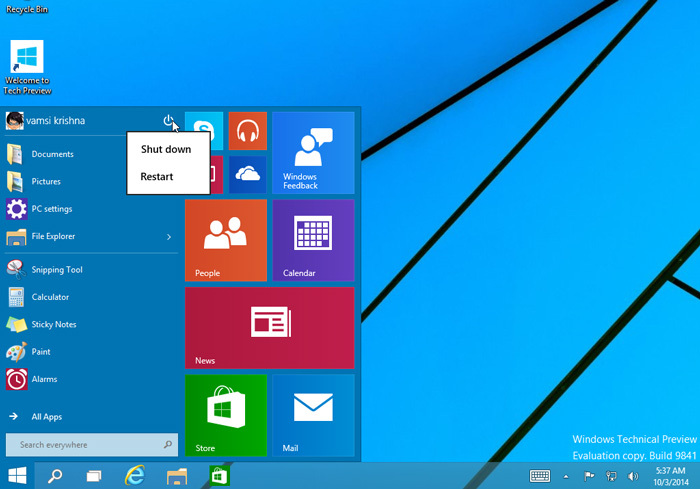 Once it is done, you will be greeted with the all-new Windows 10 desktop with redesigned start menu. That’s all there is to do; you have successfully installed Windows 10 Tech preview on a virtual machine. 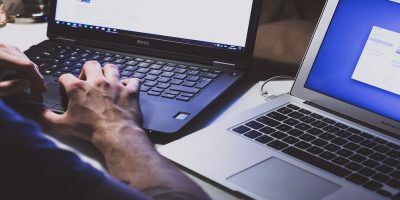 Personally, I have tested Windows 10 Tech preview in VMware, VirtualBox and on my old laptop and didn’t face any problems. So give it a try and play around to find out what’s new in Windows 10. 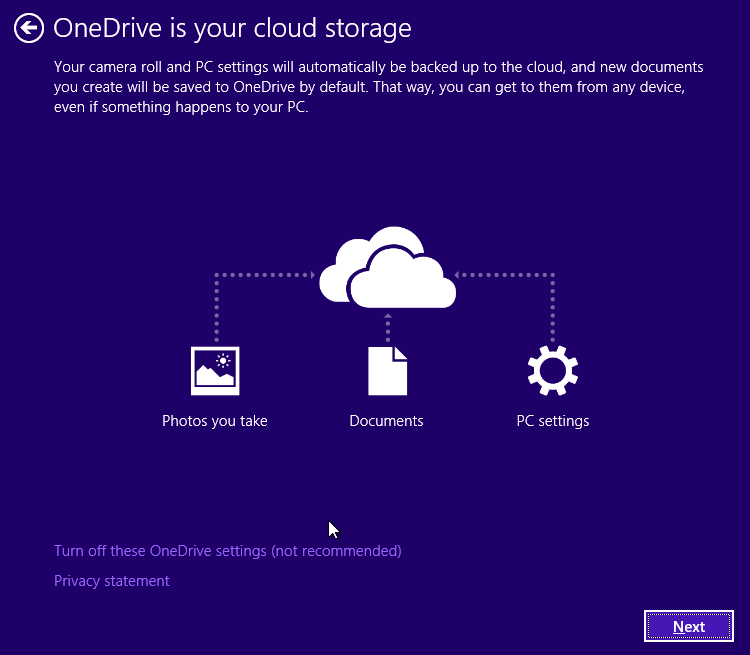 Hopefully that helps, and do share your first impressions on the Windows 10 Tech preview. Why they still not give up those ugly colored flat tiles? Are they braindead? Will go buy a new Windows 7 laptop and pc soon so I’m OK for the coming years, Win7 still the best. 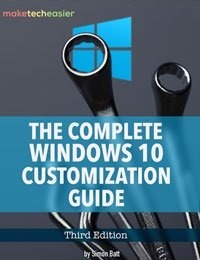 Can I install from Vista? 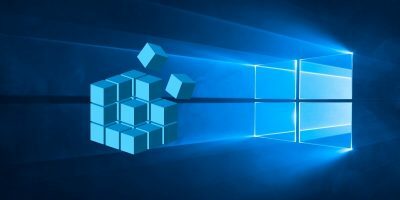 How much disk space does windows 10 take after installation? Well, the fresh install took me around 8 to 9 GB. Is it 32 or 64bit? The right side of the menu looks like a supermarket ad. That style of ad was designed many decades ago to get the housewife to snoop around, looking for bargain prices, a gatherer’s dream – the disorganization is intentional and tries to speak directly to the Housewife stereotype. I can’t say a visually disorganized and ugly appearance on a menu is useful. If MS wants to list programs by category at the “top” of the menu, I hope it also has an option that I haven’t found yet to simply turn off the ugly tiles in favor of text entries. The tiles really are jarring on a large monitor with no touch screen. 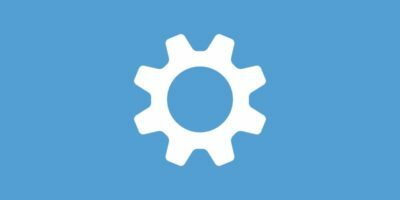 The boot time is terrific but in a VirtualBox, where it’s normal practice simply to save the machine state between sessions, it’s not as compelling. I haven’t yet tested the time it takes to restore a saved machine state against time for a cold boot, however. OK performance wise its good, I like the improvements in the UI over Windows 8 and it does seem to be on the right track. But I still have issues with a couple areas. One is the shear size of Windows installed, and the fact that on a small SSD drive like the 32Gb on the Stream 11 by HP. You cannot even do a upgrade to Windows 10 over 8.1. There is simply not enough room even if you clean everything you can to free up space. The end result will be for these small drives is some sort of clean install. In my case I did a install from a external DVD drive with Windows 10 ISO and wiped the SSD and did a clean install. But I am not sure everyone will want to do that? I’m thinking Microsoft should have thought of a better way then WimBoot on these small drives? They actually did this using WimBoot to actually free up space because you only have one copy of Windows on these drives. Because the restore partition is actually a working Windows version and the only version. Normally a restore will be another copy of Windows. Sadly in my case I had too many issues with drivers on the Stream 11 and so having wiped Windows 8 I went and installed Ubuntu 14.10 and find it way more acceptable for a small SSD drive. I still end up with around 28GB free space vs about 5GB with Windows. I think Microsoft needs to rethink possible using a network restore or USB drive for restore.